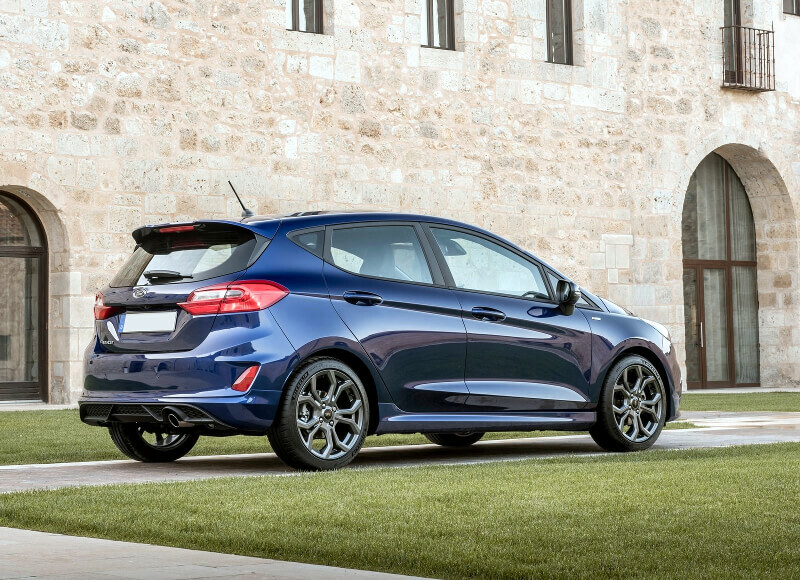 Apart from the addition of two extra doors, this version is identical to the 3-door. 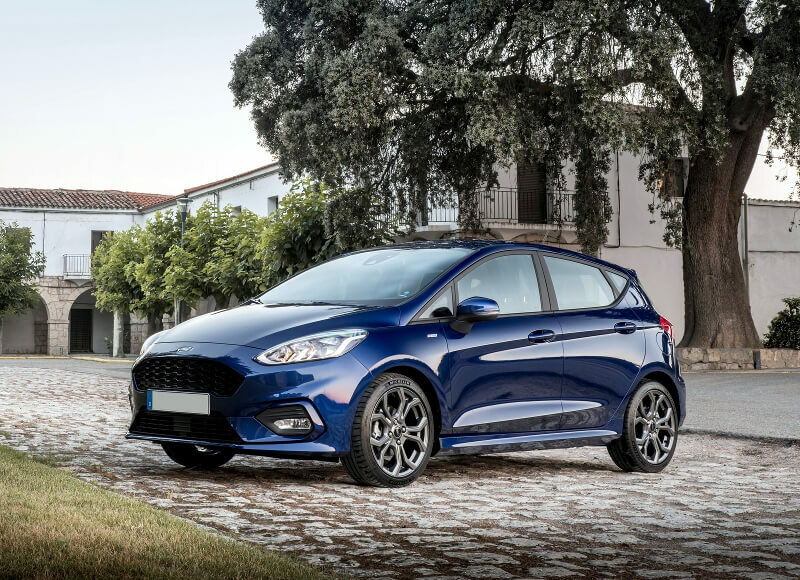 The Ford Fiesta's face is dominated by a trapezoidal front grille, bracketed by laser-cut headlamps with daytime running lamps that use LED technology, and features a power-dome bonnet design. 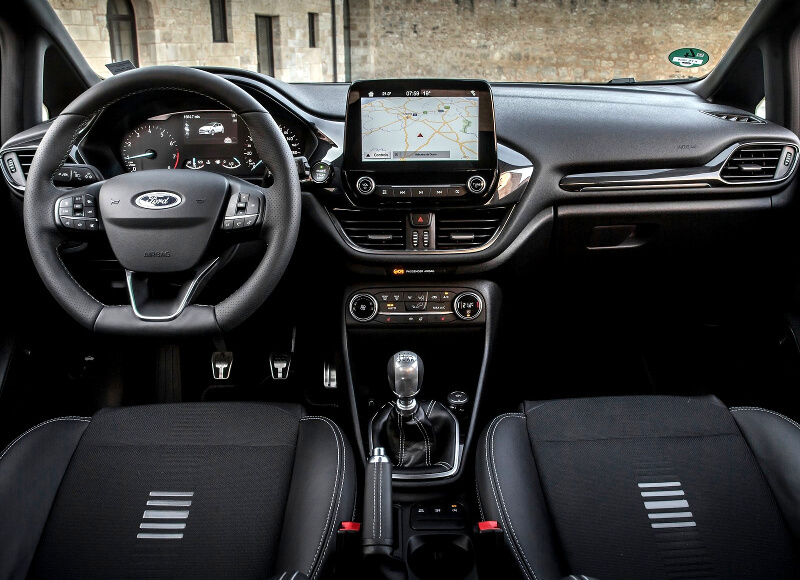 The Ford Fiesta also delivers a harmonious and ergonomically optimized interior. Maximum online rental period: 31 Days. For rentals longer than 31 days, please, contact us. Car Rental cost for whole period. | Unlimited mileage. All taxes and surcharges. | 24 Hour road assistance. | Delivery and collection.